Nasa's golf-cart-sized Opportunity rover -- which recently completed 15 years on the surface of Mars -- may have 'died' after a massive global storm engulfed the Red Planet seven months ago, scientists say. No signal from Opportunity has been received since June 10 last year, as a planet-wide dust storm blanketed the solar-powered rover's location on the western rim of Perseverance Valley, eventually blocking out so much sunlight that the rover could no longer charge its batteries. Although the storm eventually abated and the skies over Perseverance cleared, the rover has remained silent despite the mission team's repeated attempts to contact it. Since the loss of signal, over 600 recovery commands have been radiated to the rover, Nasa said in a statement. 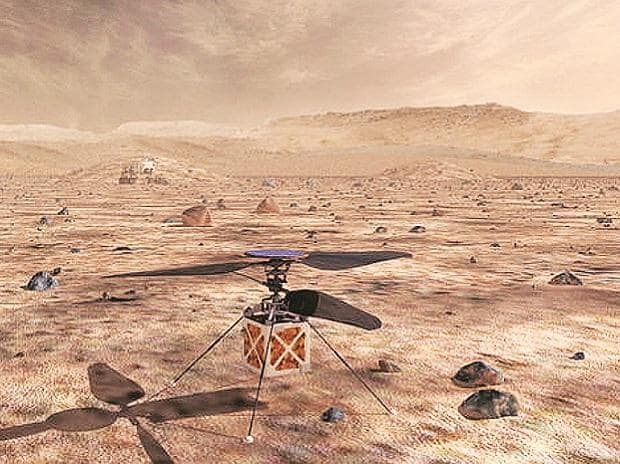 "I haven't given up yet," said Steven W Squyres, the principal investigator of the Mars Exploration Rover Mission (MER), which involves two Mars rovers, Opportunity and its twin rover, Spirit. "This could be the end. Under the assumption that this is the end, it feels good. I mean that," Squyres was quoted as saying by The New York Times. The team is continuing to listen for the rover over a broad range of times, frequencies and polarizations using the Deep Space Network (DSN) Radio Science Receiver. The six-wheeler rover landed in a region of Mars called Meridiani Planum on January 24, 2004, sending its first signal back to Earth from the surface of the Red Planet. The rover was designed to travel 1,006 metres and operate on the Red Planet for 90 Martian days (sols), Nasa said in a statement.